Glennis Wayne Buckner, 76 of Morehead, Kentucky, peacefully went to be with the Lord on Sunday, September 2, 2018. He was the loving husband of Anne Reynolds Buckner. They shared 52 incredible years of marriage together. Born on February 17, 1942 in Middletown, Ohio, he was the son of Elmo Buckner and Volena Plank Buckner Evans. Volena moved back to Rowan County, Kentucky after a tragic car accident that took his father Elmo's life when Glen was only three days old. He was raised by his mother as well as his grandparents, Mr. and Mrs. Jake Plank, until the age of 15 when Volena married Mr. Samuel Evans, his loving step-father. Glen graduated from Morehead High School in 1960 and continued on with his education as he attended Morehead State University where he graduated with a Bachelor's degree in biological science. He proudly joined the United States Army Reserves in 1967 to honor and serve his country. Glen had many different jobs over the years, including working at Carr Lumber Company, managing the local sanitation company and was one of the four original founders of Big 4 Lumber Company in Morehead. However, his most rewarding career began when he and his wife opened Farmers Mercantile in Farmers, Kentucky, a boot and shoe store that they ran with the help of longtime friend Clydia Clark for 26 years. He enjoyed the many customers (and loafers) that would come by to swap stories, jokes or do some pickin' and grinning". He was a longtime member and deacon of the Morehead First Christian Church (Disciples of Christ) where he took pleasure in singing in the choir. Glen had no trouble finding entertaining hobbies. 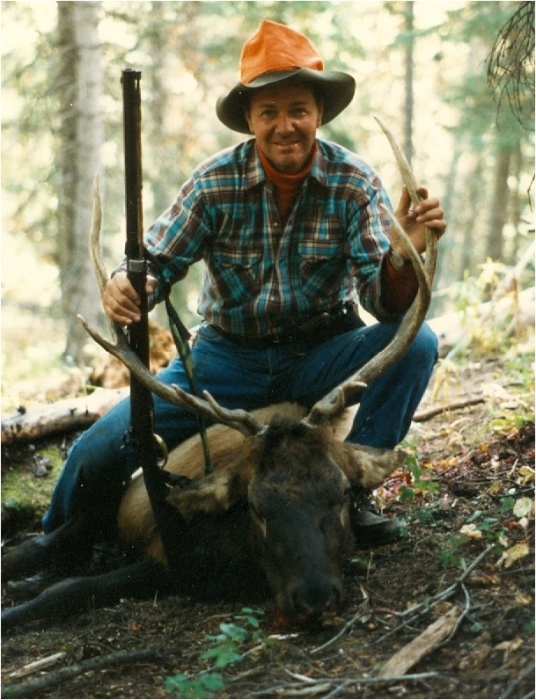 He was an avid hunter, fisherman, and nature lover. He also enjoyed playing pool, cards and of course his guitar. He along with his friends Harvey Pennington and Steve Young formed the locally famous "Friends and Folk" singing group which ran on WMKY radio for over 7 years. He will also be remembered for his jovial, good natured, friendly personality. He never met a stranger that didn't leave as a friend. He is survived by his devoted wife, Anne R. Buckner who loved and cared for him for many years. He is also survived by their daughter, Tiffany Buckner Sholar, her husband Alan Sholar. His beloved grandchildren Logan Clark and Alana Sholar as well as his step-grandchildren, Bethany Sholar, Trent Sholar, Eli Sholar and Caitlin Sholar. A Memorial Celebration will be held 2:00 P.M. Saturday, September 8, 2018 at the First Christian Church of Morehead. Following the service there will be a gathering in the church fellowship hall for family and friends to share their fond memories and to help celebrate his wonderful life. In lieu of flowers, contributions are suggested to the University of Kentucky, Department of Neurosurgery, MS 103, Lexington, Kentucky 40536 or the First Christian Church (Disciples of Christ), 227 East Main Street, Morehead, Kentucky 40351. The Michael R. Gray Funeral Home in Morehead is caring for all arrangements for Glennis Wayne "Glen" Buckner.